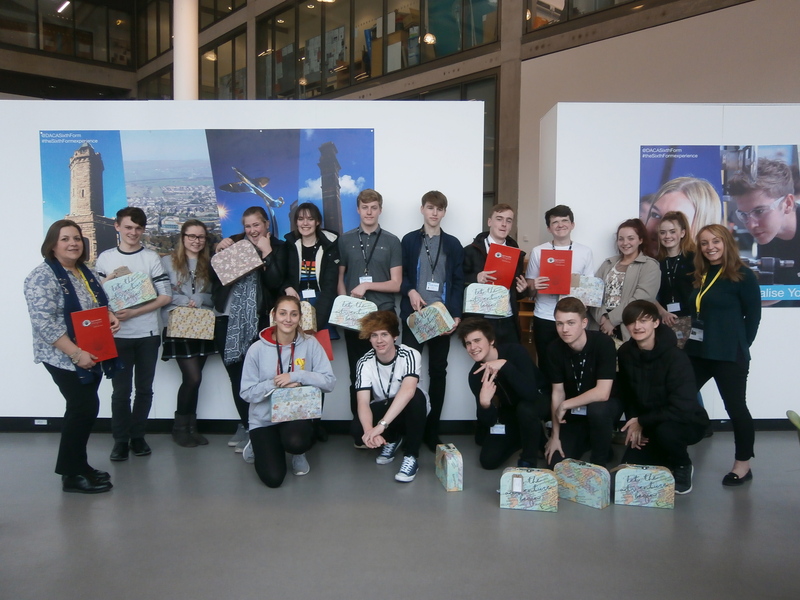 College students have been working with East Lancashire Hospice to create thought provoking work round illness, death and bereavement. The ‘Stimulating Conversation’ project is designed to encourage people to talk openly about these taboo subjects using creative and expressive arts. DACA and St Mary’s College students have produced art and drama that will stimulate conversations about the issue. These will be exhibited and performed as part of Dying Matters Week which runs 8-12 May. DACA students will hold an exhibition of art and sculpture at the college on Wednesday 10 May between 12.30pm and 2pm. And on Thursday 11 May St Mary’s College in Blackburn will hold an evening of drama between 6pm and 7.30pm. Allyson Lynch, who is leading the project, said: “Research has shown that as a society we find conversations about these topics difficult. This project aims to break down the barriers to talking about these issues through using art and drama to gently, stimulate discussions about our thoughts, feelings and views. Mum-of-two Allyson, who is on secondment from her role as department trainer at Herbert Parkinson, is helping with a campaign to encourage others to talk about death and dying. She said: “One of the key issues is talking about illness, death and bereavement – which is quite a taboo subject. If people don’t talk to their loved ones, they won’t know what their wishes are if they do become ill regarding end of life care. If you would like to attend either event, please contact Allyson by emailing Allyson.­Lynch@­eas­tla­nc­shos­pi­ce.­org.­uk or call 01254 287014.